I wrote “Kondou Isami”. He was the commander of Shinsengumi. 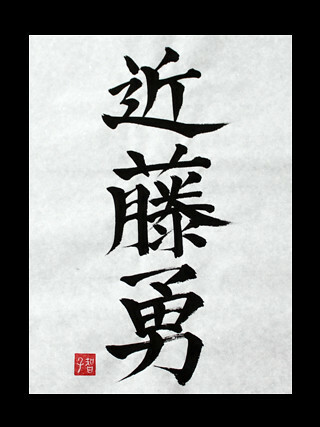 Kondou (first kanji and second kanji) is his family name. He was able to putting his fist in his mouth. It’s his special skill. He had stern face.